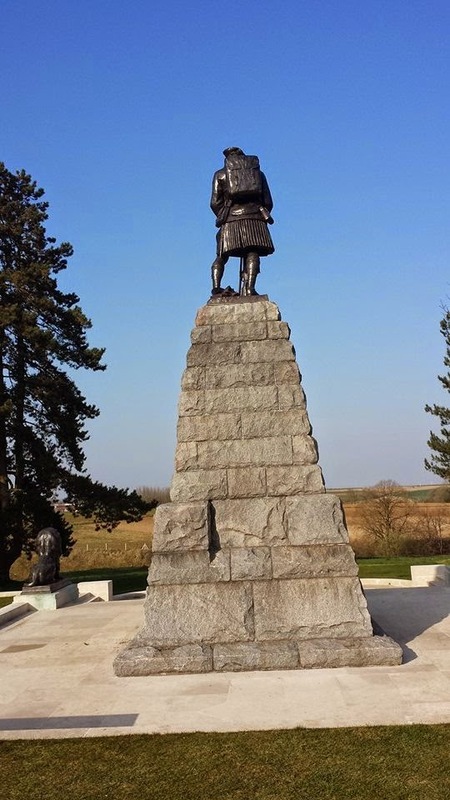 I'm back from our tour of the Somme and many WWI memorial sites. It was a lovely trip if I can use that word on the back of thousand's of soldiers being killed 100 years ago. As ever, we crammed in lots. We left on Thursday morning for an unbelievable quiet Eurotunnel - we only ever go in the height of summer so was really weird to see the car park empty. It was also weird not to have a 10 hour journey on the other side which is normally the case when we visit France. As we were staying in Cambrai (about an hour and a half away) it felt like we'd just taken a trip to the coast - very strange. 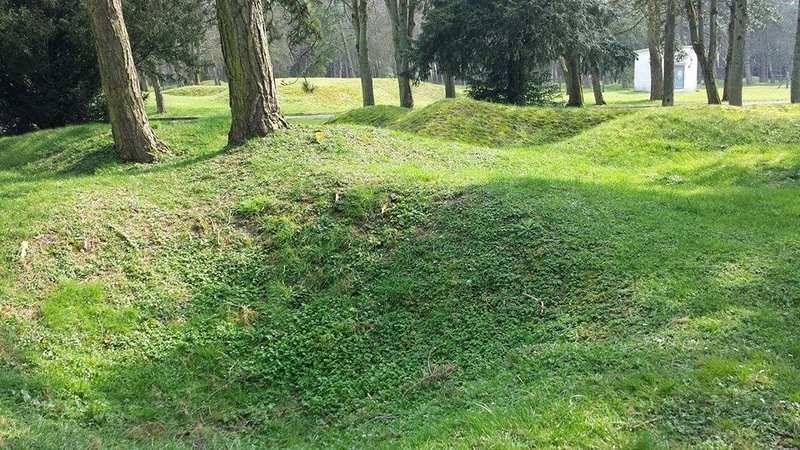 We visited the Canadian memorial site Vimy - I was fascinated at the way the land still lies, huge bumps and moulds (like something out of In the Night Garden) where the shelling has just obliterated the landscape. 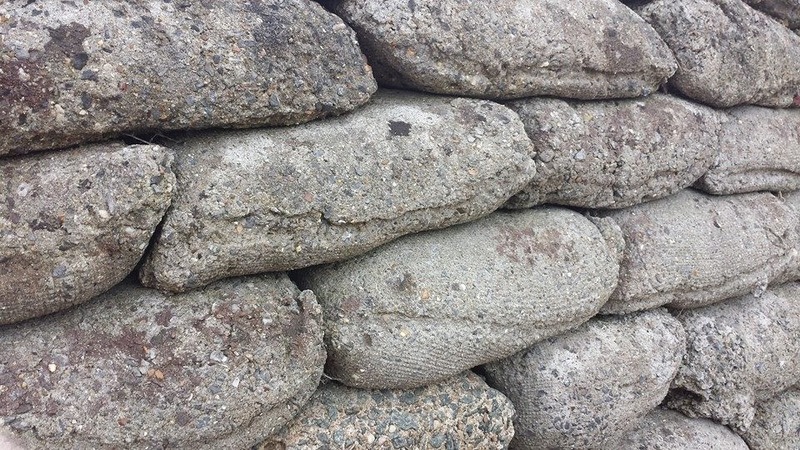 The beautiful constructed memorial, the sandbags that had been filled with concrete after the war to preserve the trenches was genius. The sandbags looked real with movement and were a work of art and, of course, the actual memorial. Naturally the headstones were humbling and overwhelming at times but the soldiers have wonderful resting places. 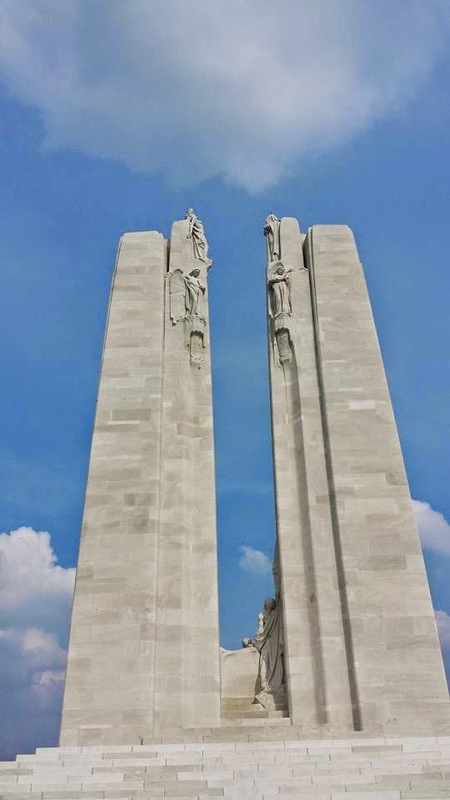 They will never be forgotten as so many people still visit even 100 years later. Our hotel was brilliant. A little boutique hotel with everything we needed and superb food. The chap who owned it had discovered a tank and took us on a guided tour (in his Range Rover with French plates) of the area (he had excellent knowledge of the battle of Cambrai) and the barn in which he stored his tank. He was quite a character and a pleasure to listen to. The staff were also lovely at the hotel. I had the wonderful onion soup the first night, followed by duck and then Baked Alaska. 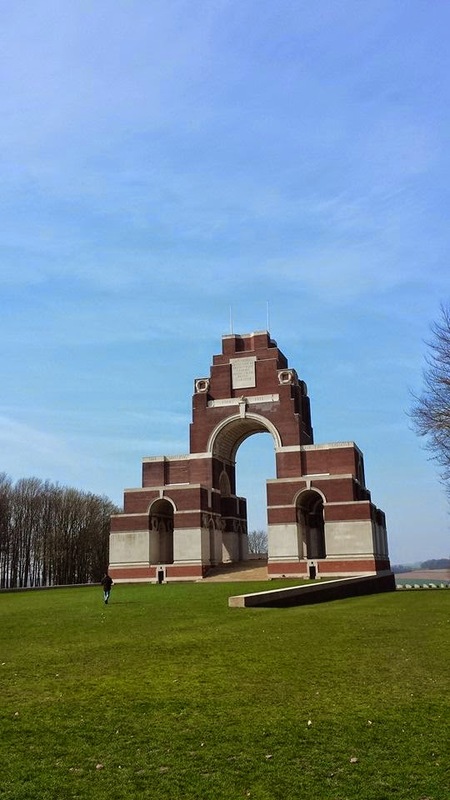 The next day we travelled to Lille to pay our respects to my husbands Great Granddad and then onto Ypres in Belgium to pay our respects to my Great Uncle who's name is on the Menin Gate. We visited a quaint museum on the outskirts and the larger one in Ypres which was superb. We also climbed the steps to the bell tower and later went to Tyne Cot memorial. Later we went back to Ypres and had a burger and fries (no lunch) and then headed up for the 8pm ceremony at the Menin Gate. We had a hairy drive back as the roads in Belgium are far inferior than those in France and the Belgiques as I like to call them (as I don't know what you call a person from Belgium!) drive like absolute nutters! I mean I've driven in Italy and they make them look good - no mean feat. We had vodka and whiskey in the bar that night and much enjoyed it was too! A tiring but worthwhile day. 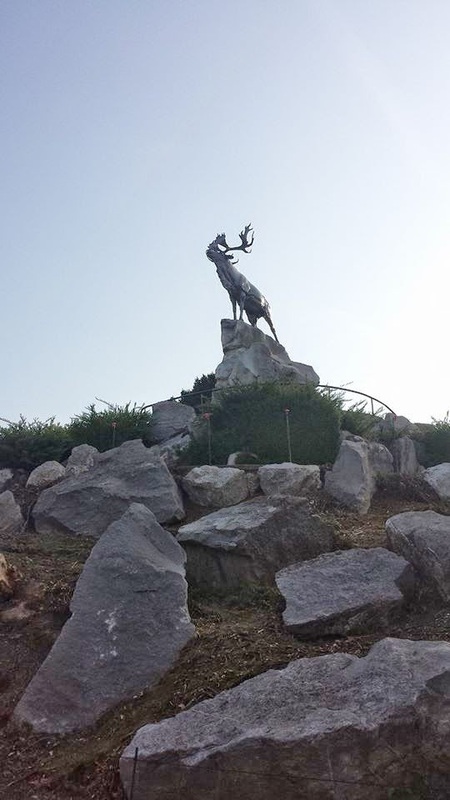 The next day we did the Tiepval memorial, High Wood, the Canadian memorial with the stag (can't remember what its called!) and also another museum in Arras. This day was also action packed we ate nothing for 9 hours!! However, we did dine out that night in a funky little place just outside Cambrai so filled our boots as we were back home on the Sunday. We did try and fit in the museum in Dunkerque on the way back but we didn't quite make it! So, after a full on day of cleaning today I am back and will be setting my alarm for my weights. I have started my 1,000 (although its 1,200 to give me room for errors) a day calorie diet as in my last post I talked about how my numbers were wrong. I am hungry and I'm on a mission. Here are some of my pictures. If you ever get a chance I would thoroughly recommend it.